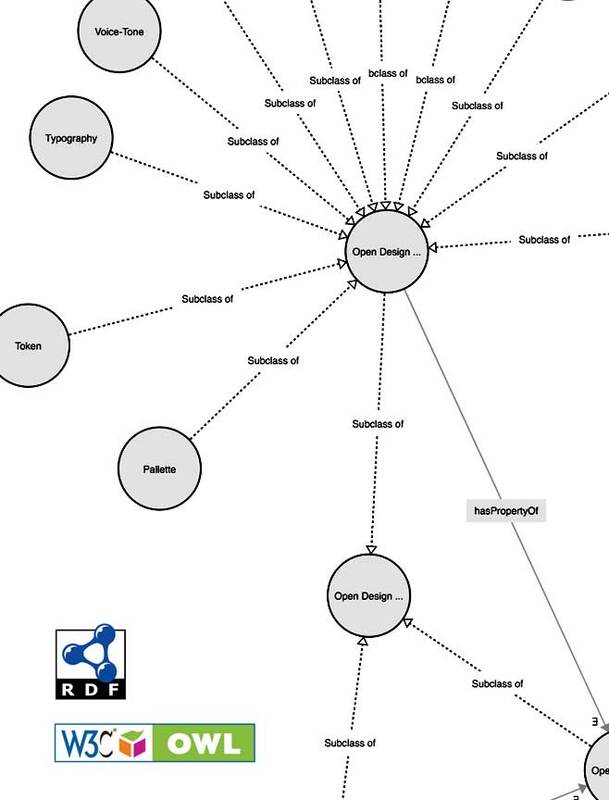 OpenDesignSystem – Developing Guidelines and Ontologies for Open Design System. This approach focuses on making a framework that would help us build scalable, portable design system for collaboration and automation by making the design systems accessible for machines. The framework uses W3C OWL and RDF to define the vocabulary to bring semantics into the design system domain. 'Nuclear Design' Approach to Design System. This approach helps in building a modular design system inspired from the nomenclature followed in Nuclear Chemistry. 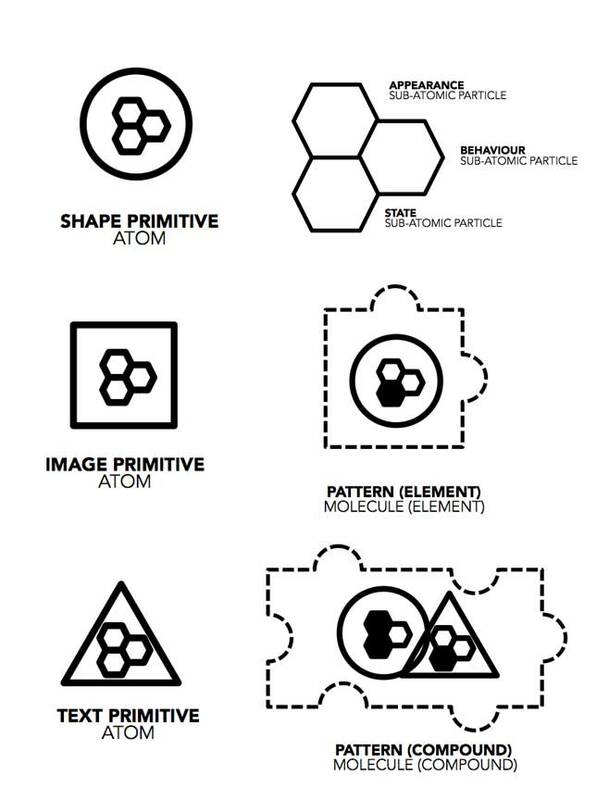 The smallest unit of usable entity is a ‘pattern’ that exists at a molecule level and which is made up of ‘derivatives’ (equivalent to isotopes) of some ‘primitives’ (equivalent to atoms), whose attributes like appearance, state and behaviour are defined at the ‘sub-atomic’ level called ‘tokens’.